Make The Neighbours Green With Envy- By Being The Prettiest House on the Street! Whether you're planning to sell your property or you just want to keep up with neighbours, it's important to keep the front of your home well maintained. How your home looks on the outside is the first thing people see when they visit your home, and so you want it to look just as tidy and well kept as the inside. 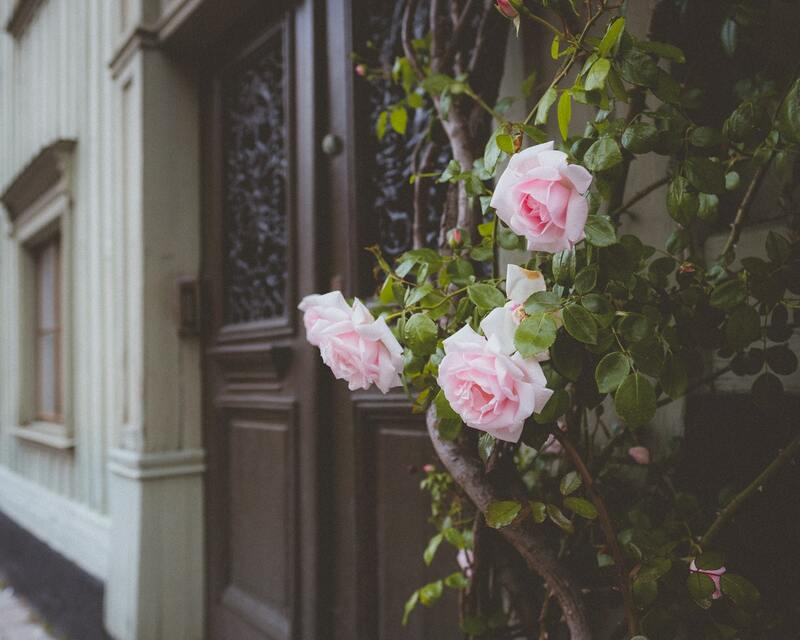 Here are some of the areas to address when you're looking to improve your home's kerb appeal. Your front door can be a real focal point of your home, so if it is starting to look a little tired or out of date then it can let down the whole exterior. If it's a wooden door that's still in good condition and just needs some cosmetic work doing, you could repaint it a new colour. If it's worse for wear or you want to improve you home security then you could consider replacing it entirely. One of the most popular front door colors is blue, but go with something you like and that reflects you. You may also want to consider fitting a canopy, these give you shelter from the rain so you're not getting soaked while you're looking for your keys! Canopies made from toughened glass give a modern edge to the front of a home, so they look good as well as being practical. Your driveway is one of the areas that will show wear and tear quickly. Oil spills, litter that has been blown onto it and fallen leaves can make a driveway look untidy and unkempt. Make a habit of regularly clearing it, and address things like cracked slabs which can spoil the overall finish. Blast any stubborn dirt away with a pressure washer which will have it looking clean and tidy. During the warmer months you'll probably find you get weeds growing up through the cracks. This was a huge problem for us when we moved into our current home. The way I got rid of them was by spraying them with weed killer until they were completely dead. And then pulling up the dead weeds by hand. It’s all well and good tidying the outside, but if the windows look dirty and dusty then your home won't look it's best. You won’t believe the difference sparkling windows can make. Either grab a ladder and a bucket of soapy water, and tackle all of your exterior windows and doors one weekend. Alternatively hire a window cleaner to do it, ask them to clean the windowsills and the doors too. Over time, paintwork can crack and peel away or look dirty- a coat of paint can do absolute wonders. Again this is something we did when we moved into this house, the exterior was painted white but it clearly hadn't been done in a while. A coat of paint and everything looked so clean and fresh- it looks like a different house now! If this is the sort of job you've been putting off I highly recommend just going for it, it will make your home look so much better. Finally, the last thing you can do is take pride in your front garden. Mowing your lawn and planting some colourful flowers. They can brighten up the exterior of your property, if you choose well your garden will bloom every year with very little effort on your part. Even planting a few pots and placing them in front of your home can make a lovely addition to the front of your property. Your neighbours are bound to appreciate the effort you make, and you may find you encourage others to follow suit!